Official matches and league games have specific soccer field dimensions that must be used to mark out the pitch before playing. The length and width of the pitch needs to follow the FIFA Laws of the Game and the lines for the penalty area, six yard box, and halfway line all need to be correctly marked. It takes a lot to set up an official soccer pitch before the teams have even kicked a ball. 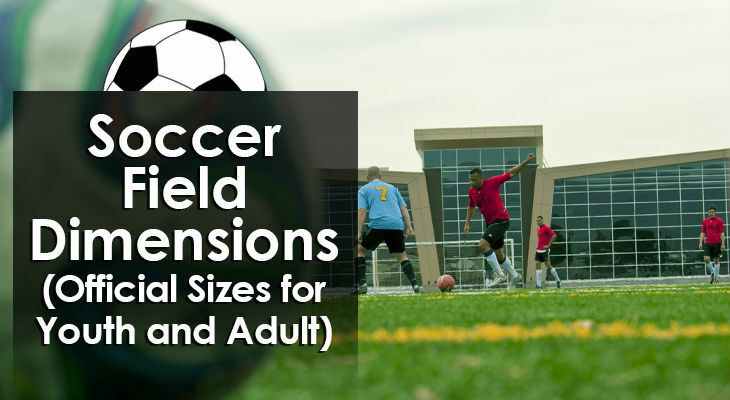 Getting the correct soccer field dimensions is incredibly important. Soccer pitches are rectangular in size and the surface is made out of grass or artificial astroturf. FIFA states that the two touchlines forming the length of the pitch must be between 90 and 120 metres in length (100 - 130 yards). The two goal lines (where the goals are placed) form the width of the pitch and should be between 45 and 90 metres in length (50 - 100 yards). Each half must be the same length and width as the other, and the halfway line should run directly across the middle. The centre circle measures 9.15 metres in radius and is located in the middle of the pitch. The two goals must be placed exactly in the centre of each of the two goal lines. A penalty box is marked out around each of the goals and it’s in these two areas that the goalkeepers are allowed to use their hands. The line that forms the marking for the penalty area must start 16.5 metres from each goalpost and extends 16.5 metres into the pitch at a right angle. Another line is then drawn parallel to the goal line across the top of the box, joining the two lines and enclosing the penalty box inside it. In each penalty box there is a penalty spot 11 metres in front of the goal. It must be marked at the exact midpoint between the two goalposts and it’s from this exact position that penalty kicks are taken. The six yard box (or goal area) is also located inside the penalty box. This must be marked out at each end of the pitch if you’re to play an official match following the correct soccer field dimensions. Two lines are marked out at a right angle extending into the pitch and the lines are 5.5 metres distance from either side of each goalpost. The lines that protrude into the pitch also measure 5.5 metres in length and they are closed off by a line that runs parallel to the goal line. To complete the penalty box markings, there is a penalty arc that borders the edge of each box and this small semi-circle is drawn outside the box at a radius of 9.15 metres from the penalty spot itself. All of the markings on the pitch must be the same width and these cannot be more than 12 centimetres in size. FIFA states that the touch line (length) must be between 100 metres and 110 metres and the width of the pitch (width) must be between 64 metres and 75 metres. 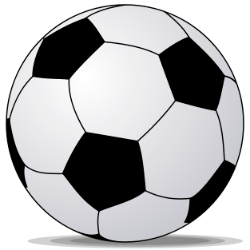 To help younger soccer players better develop their skills, pitches are smaller so they don't spend all of the match chasing around a huge field and never seeing the ball. Youth leagues often have their own variations of the rules, particularly at the lower age groups, so the number of players often varies as does the size of the pitch. Children will often play five-a-side soccer. 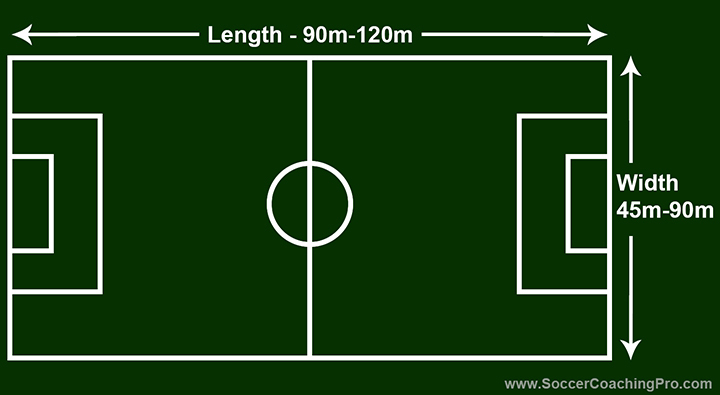 The pitches are much smaller in size and should measure 37 metres x 27 metres. As players reach this age, they advance to seven-a-side soccer. 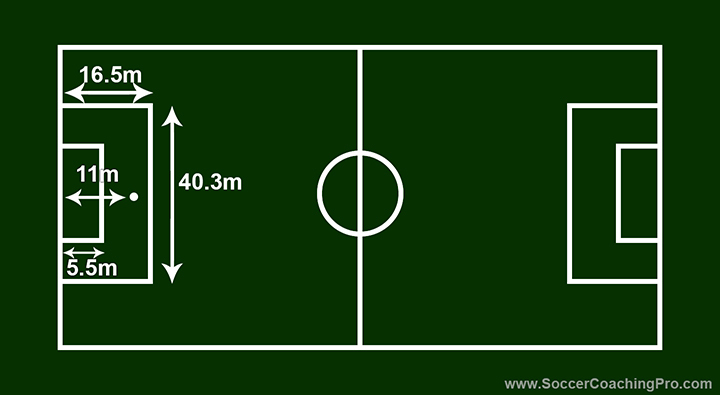 The FA recommends that the pitches measure 55 metres in length and 37 metres in width. The pitches continue to get bigger as the children get older and at the U11/U12 age group they should already be playing nine versus nine on a larger pitch. Here the touch lines should measure 73 metres in length and the goal lines should stretch across to a distance of 46 metres. By U13/U14 they should have progressed on to playing eleven-a-side and the FA recommends that the pitches stretch to 82 metres in length and 50 metres in width. 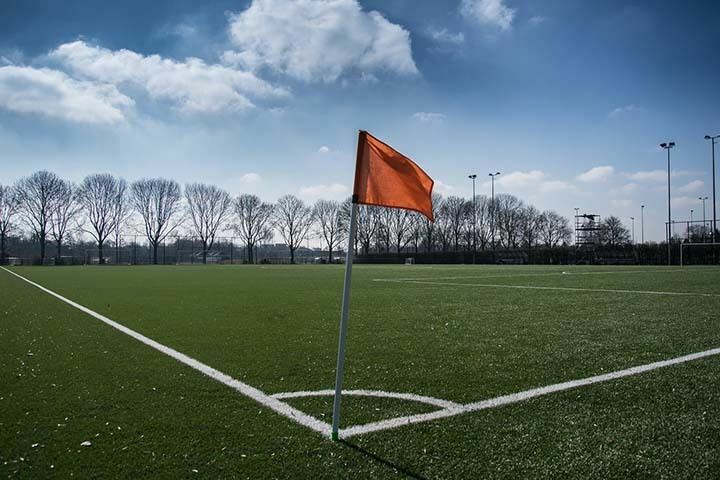 The pitch again increases in size at U15/U16 and at this age group the soccer field dimensions should be 91 metres for the length and 55 metres for the width. After this age group, youth soccer progresses to full size adult pitches which are 90 to 120 metres in length and 45 to 90 metres in width. So make sure you check in with them about the exact soccer field dimensions they follow before you start creating the pitch. Once you’ve got the pitch clearly marked out and the corner flags are flapping in the wind, you’re now ready to play an ‘official’ game of soccer!